The Hospice of South Texas medical director is a doctor of medicine or osteopathy who supervises, reviews, manages and coordinates clinical care for all the patients in the hospice program. 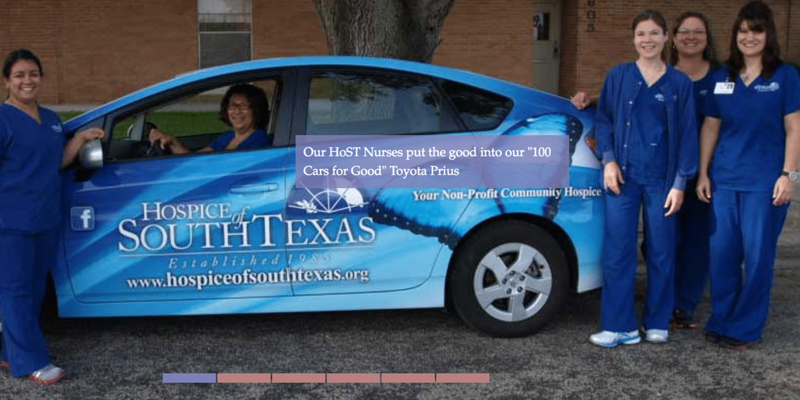 The Hospice of South Texas registered nurse is responsible for the coordination of all hospice services. Our registered nurses are highly trained in hospice care and available 24 hours a day to identify and address issues and symptoms, and to teach caregivers how to make their loved one pain free and more comfortable. Scope and frequency of services are based on initial and ongoing assessments of the patient’s needs. Hospice of South Texas Nurse Assistants are specially trained to assist the caregiver in providing the patient’s personal care needs and help with activities of daily living. Hands-on care of the patient as needed and directed by the plan of care and under the direction of the registered nurse. Assistance in ambulating or exercising. Hospice of South Texas social services are based on an initial visit to assess the psychosocial and social needs of the patient and family which is conducted by a licensed social worker. It is provided in accordance with the plan of care to assist the patient and family in dealing with the psychosocial aspect of a life-limiting illness. Licensed social workers are skilled in interviewing techniques and evaluation skills and have knowledge about available community resources. They offer individual and family counseling related to living with an end-stage illness. Hospice of South Texas provides counseling services as needed and ordered by the plan of care to assist the patient and family with coping with terminal illness, death and bereavement. In addition, social workers are trained to work with special circumstances in families such as mental illness, substance abuse, and developmental disabilities. Hospice of South Texas Spiritual Care is coordinated by the Hospice Chaplain. Spiritual services are provided in a manner that is consistent with the patient and / or family beliefs and desire for service.